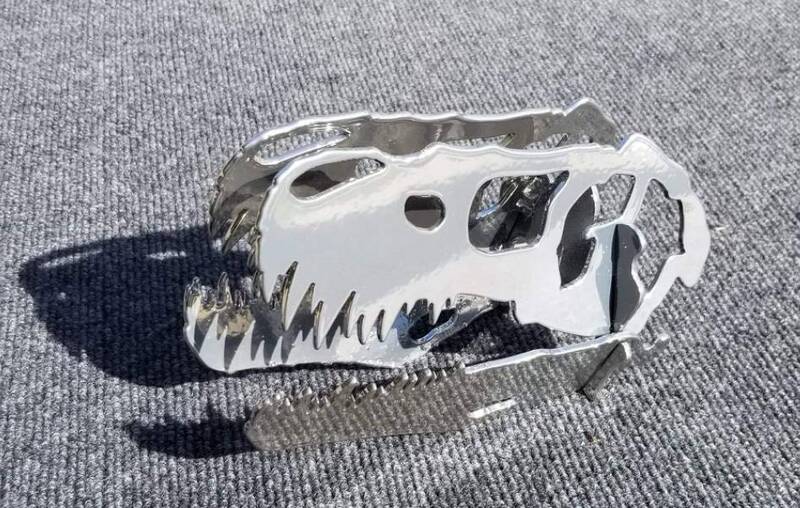 Awesome piece of art, this dinosaur skull is made right here in Port Orange Florida from American made 1/8" steel. Standing approx 5" tall and 7" long, this makes a great desk piece. Ships assembled/tack welded together. 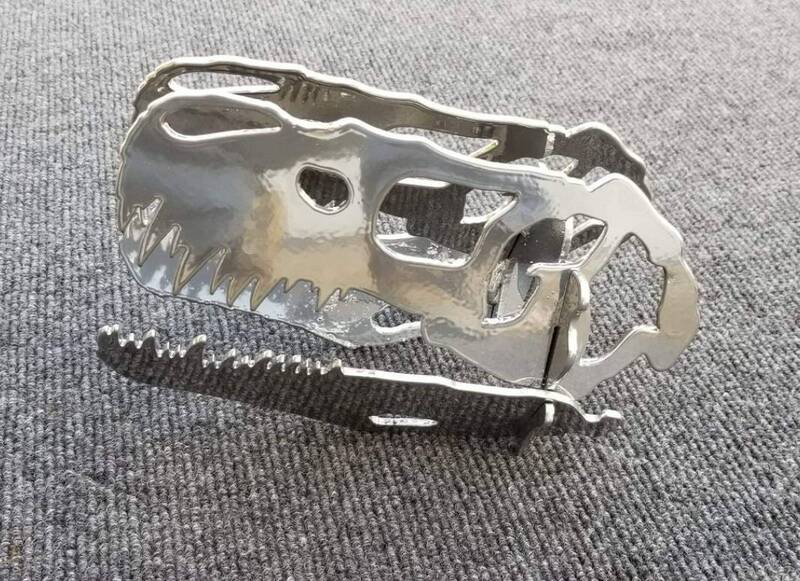 The steel is powder coated with a shiny, chrome finish and kept indoors it should retain the finish shown without issue....remember this is METAL and will oxidize/rust when exposed to humid environments over time. Larger sizes are available, just ask! 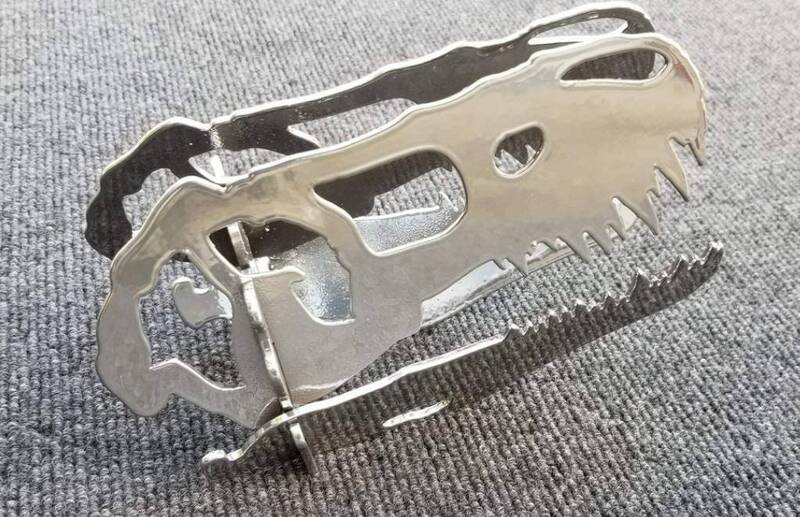 Also available in aluminum or stainless at an additional cost.